Anne Winters is an exciting new actress who has made her mark on TV shows such as Zac and Mia, 13 Reasons Why, Tyrant, and Wicked City. 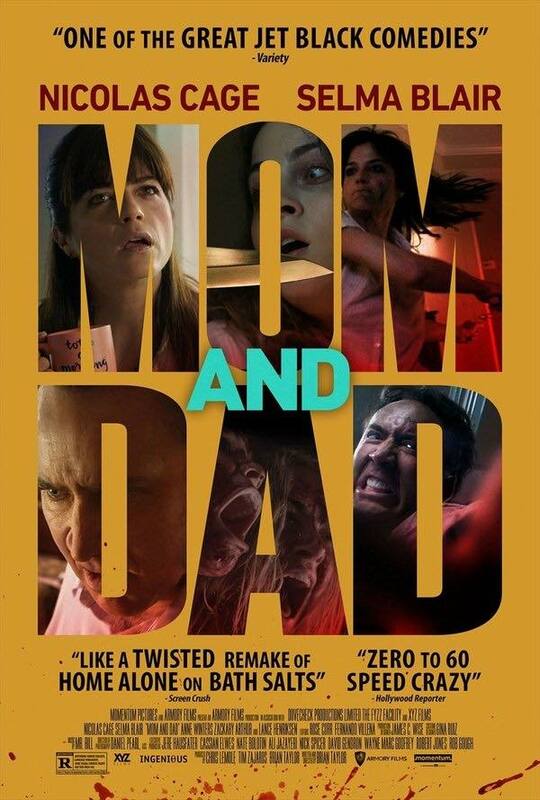 In her new film MOM AND DAD, from Brian Taylor, the co-director of the CRANK movies and GHOST RIDER: SPIRIT OF VENGEANCE (2011), Anne plays the daughter of Nicolas Cage and Selma Blair, who has to fight for her life when a mass hysteria sweeps the nation and parents turn on their children. I spoke to Anne about her initial reaction to the script, how it was to work with Cage and Blair and her experience of making such an intense and chaotic movie. What was your first reaction to the MOM AND DAD script? To what extent did you relate to the story? My first reaction to the script was: What is this? This is so crazy! I’ve never seen anything like it before. This would just be so much fun to film. Whoa! I want to do this. I can’t really relate to my parents trying to kill me but I can relate to my character Carly just like wanting to live her own life at school. You only see a little bit of her at the very beginning with her parents where she is just kinda wanting to be a normal kid, wanting her own life outside her family. I can relate to that and her relationship with her mom. It was a super fun, crazy adventure filled movie. 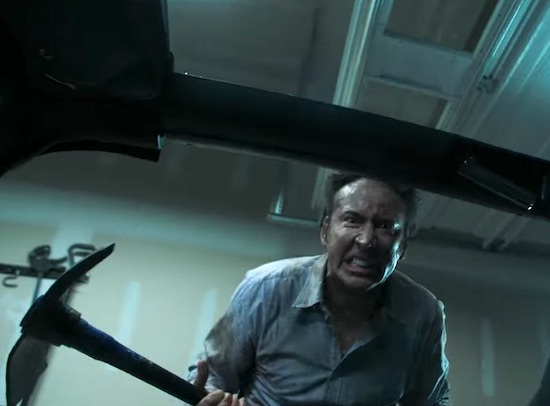 Were you a fan of Nicolas Cage before you started the film? What was he like to work with? Yes, I was a fan of Nicolas Cage before the film. I have watched so many of his movies. VALLEY GIRL (1983) is one of my favorite movies. It’s really old. I love that movie. 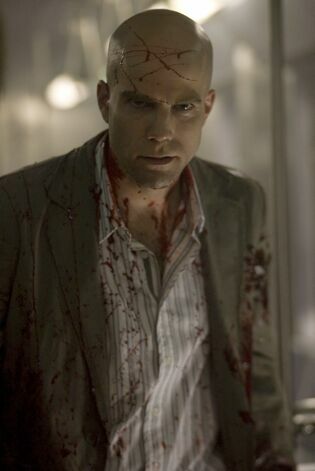 He was really, really fun to work with. He literally is Nicolas Cage. Everyone has their own perspective of him. He is just crazy. He is out there. He is totally his own person. It was really fun to see him work and watch him dive into his character. He is very method. Whenever he has anything, he’ll go into his own room and not talk to anyone. Just be in his own element. It is so much fun to watch him work. When we were working together, it was very scary. It was more fun to watch him work behind the scenes. When we worked on set together, he was trying to kill me. How about Selma Blair? Were you a fan of hers beforehand? What was it like to work with her? I love Selma Blair. We became like best friends on set. I was a fan of her before. LEGALLY BLONDE (2001) was one of my favorite movies growing up. I knew of her a while ago. She is so much fun to work with. She is also crazy in her own way. She is also very, very just hilarious and funny. Working on set with her, one minute we were laughing and cracking up and the next minute, we are like trying to kill each other and it was a very bipolar set and a crazy experience. It was very fun. She was awesome. I love Selma. Do you have a favorite memory of the shoot? The scene when I am trying to get my mom in the closet. It was a really long scene. We start fighting in her bedroom and then we chase each other down the hall and we end up in my room. We throw a canopy at her and ram her into a closet. That was my favorite scene because it was such a long fight scene and we had so many memories getting caught in the net with the canopy and trying to get her into the closet. Given the heightened intensity of the film, in what ways was it a fun shoot and which ways was it a demanding one? It was a fun, crazy shoot in a sense that you always had to be on. It was very high intensity. Like in every scene I had to be screaming and running or crying and that was demanding. You had to always be ready to go on. You could be chilling in your trailer and on set, and then it is your turn, you have to go and pick up where you left off. You have to start crying, yelling and screaming. It is very demanding and definitely taught me a lot of about basically have to put it on, be there at the moment and can’t think about it. You just have to go. What is Brian Taylor's directing style like? Basically, go crazy and do whatever the hell you want. He gave us so much freedom. First of all, Brian is amazing. He is an actor’s friend on set. He is always talking to you about the scene and he gives you the freedom to do whatever you want and just throws in random stuff and you just go with it. He taught me to literally throw anything crazy out there. If it sticks, it sticks and if it doesn’t, it doesn’t. Do you think black comedies like MOM AND DAD can help audience members think more easily about difficult topics? Can they be therapeutic? That is an interesting question. I like that. I think so. There are dark things happening in the world but also, let’s make the light of it and make it over the top and funny. I think any comedian will tell you that they want you to laugh instead of cry and even about themselves in their own life situations. The best way to get over pain is to laugh. If you’re laughing at something outrageous and crazy, that is of course, therapeutic. Anything fun that makes you smile and/ or makes you intense, laugh at someone’s pain, in a sense. It is kinda therapeutic for your own self. Did you look at your own relationship with your parents a little differently while making the film? I tried not talk to my parents that much during the film. I wanted to stay in the mindset of ''My parents are trying to kill me. '' It is so different than my parents. It is a completely other world. I didn’t relate it to my family at all. I definitely warned them before seeing the movie. They knew what they were getting themselves into. What do you hope audiences will get out of MOM AND DAD? Just honestly have a good time. It is one of those movies where you don’t need to sit there and figure out what happens. Just go out and have an open mind. Just watch it and have fun. Just laugh with us and scream if you want to. Go on with this adventure with us and you’ll end up having a great time. It is just a fun time. You have had success on TV with dramas that tackle serious topics – cancer in Zac and Mia, suicide in 13 Reasons Why. Do you gravitate twards dark material? Yes, for sure. I love dark material. I think it is super fun, and super fun to dive into, which I don’t know what that says about me as a person. I think any actor thrives to do something that they will never do in their life or have experienced in their life or don’t plan on experiencing in their life. It really gives an outlet into another realm and it’s super interesting. If I get a chance to delve into something dark that will never happen to me or hopefully will never happen to me, it is so interesting. My favorite thing to do is to dive into something else other than what I am. It is fun. What can you tell me about your next projects? NIGHT SCHOOL sounds interesting. What has it been like working with Kevin Hart and Keith David? Kevin Hart is Kevin Hart. He is crazy and funny all the time. There were so many scenes where I was hiding my face behind my hair trying not to laugh. Every scene that you do has a million different things going on, as in each take you do is different. He will throw something different in there and then it will become a different kind of scene. You are always surprised and every surprise is hilarious and so hard not to laugh. That was my main takeaway from the movie, it is so hard not to laugh on set. I can’t stop laughing. He was fun. I didn’t get to work a lot with Keith David that much. He was on set the one day I was there. I met him and he seemed very nice. The one scene that we had together, he was hilarious. It was mainly between Kevin and him. I didn’t get to interact with him a lot. They had great chemistry and they are really funny to watch together. It is really going to be funny movie and I’m excited for it to come out. 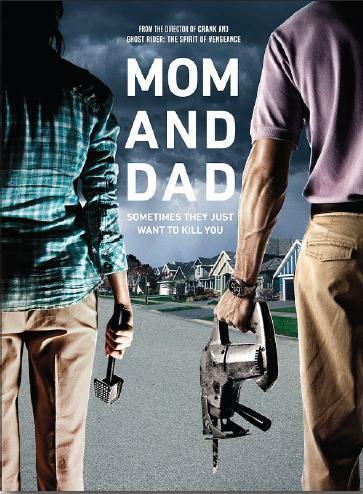 MOM AND DAD is now out in theaters and on VOD from Momentum Pictures. The trailer to MOM AND DAD. Interview by Paul Rowlands. Copyright © Paul Rowlands, 2018. All rights reserved.